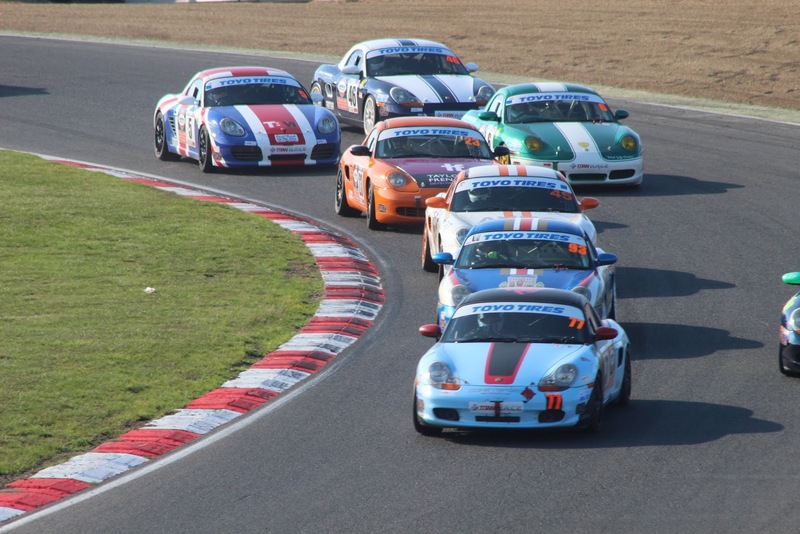 The iconic Brands Hatch circuit is always a favourite with drivers on the calendar. Despite being the shortest track it is technically challenging to get the balance of the car and your technique right to get a smooth fast lap. We tested here earlier in the year and had a session of tuition, which resulted in some definite gains and more changes to my driving style to work on. We arrived at 8 AM Saturday and the paddock was rammed to bursting, with over 250 different cars competing across various championships over the weekend. 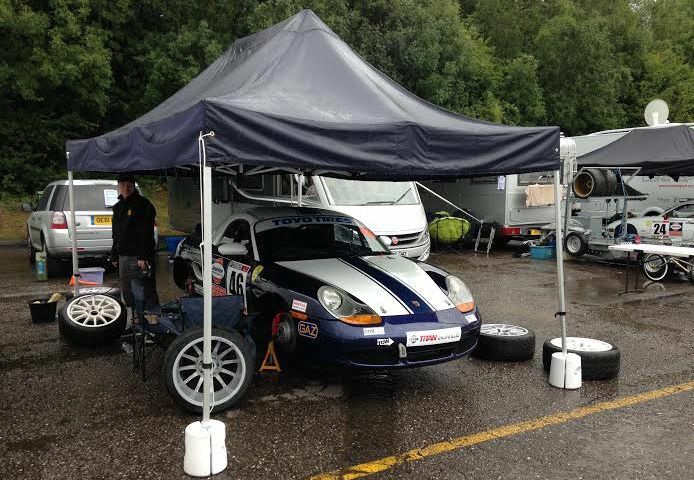 We bagged a small patch of space within our allocated zone and set-up the awning which proved to be a godsend over the weekend. Qualifying was a bit of an unknown since we recently upgraded the lower front suspension arms to GT3 spec, widening the track width and increasing camber to -3 degrees. Despite the glorious sunshine on Saturday, heavy rain was forecast on Sunday so we elected to use qualifying to scrub in a new set of tyres. The session was red flagged for oil when a Porsche 924 engine exploded after a couple of laps. It was absolutely boiling inside the car as we waited in the pit lane to restart. I set a reasonable time fairly quickly but thereafter could not improve due to traffic qualifying 8th overall. 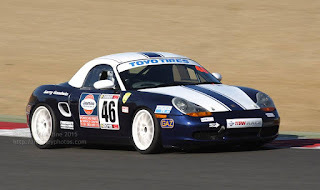 Race 1 was not until 5pm that day so we had plenty of time to prepare, switching the wheels back to our dry (worn) set of Toyo 888s. We stiffened the front suspension to offset a little too much over steer and reduced the amount of toe out as we were tearing up the insides of the front tyres a little. So feeling confident I got a good start, electing for the outside line around paddock hill. I managed to avoid a spinning car in front and jumped two places almost immediately. 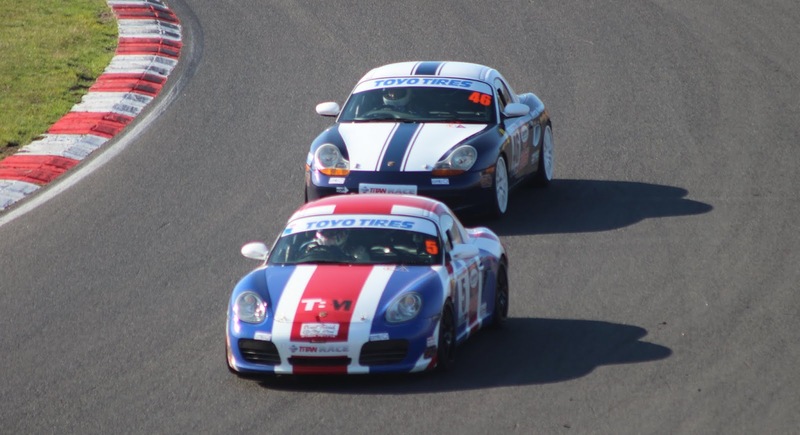 After defending my position for a lap, I edged a slight gap and went faster than in qualifying. With the car feeling great I pushed harder to close the gap to the front 4, but overshot through the left/right of Surtees dropping back to 6th again. I quickly caught and pressurised the car In front as I was significantly faster under braking round the Druids hairpin and the final corner Clark Curve, but never quite close enough to get alongside. 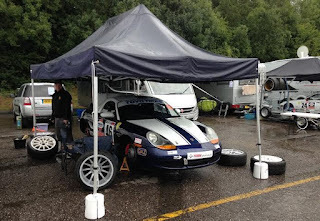 The race was unfortunately red flagged at 2/3 distance due to more oil and a car stuck in the gravel. On Sunday a large band of rain swept across the country giving all the drivers a huge "wet or dry" dilemma. The track was soaking, but the rain had slowed as we headed over to the holding area. I had gambled on a dry setup, but used my new tyres with good tread depth. 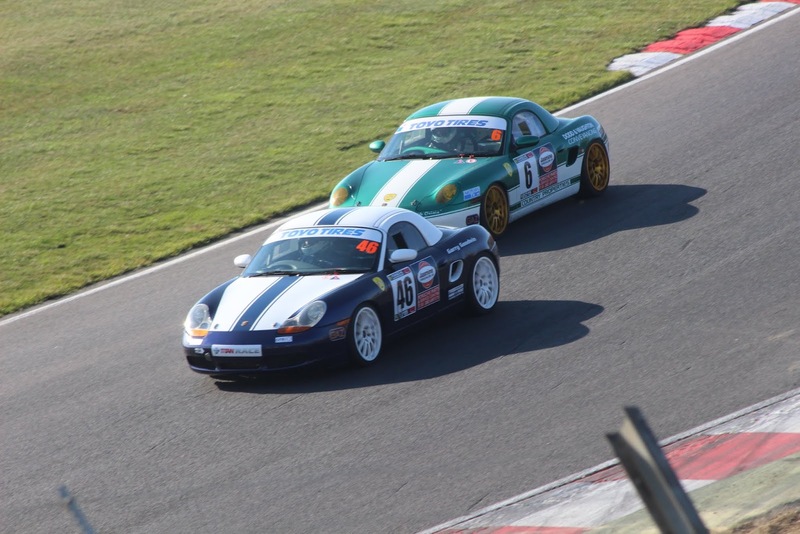 I found it difficult to maintain grip in the first few laps and fell back from the front pack to 8th, but was comfortably ahead of the remaining boxsters and 924's. As it dried my times were amongst the fastest, but I was too far back and we now had 924's to lap. I finished 6th again courtesy of some DNFs. Another encouraging weekend running. No incidents, damage or issues. A real shame we didn't get two dry races to have a go at running nearer the front as my pace in the dry race was only 0.3s off the leaders - my closest ever. Looking forwards to Silverstone International in October which is the season finale triple header.